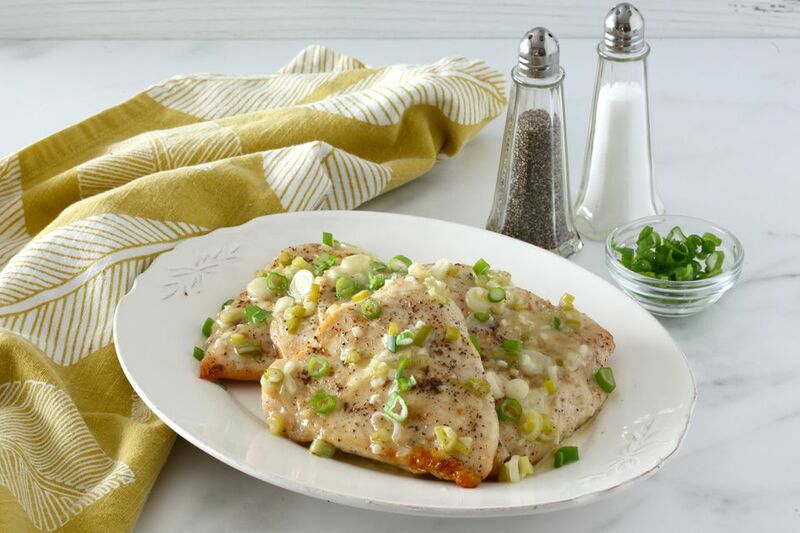 These great tasting chicken breasts are broiled to perfection in the oven and then served with the flavorful lemon and butter sauce. The chicken makes a light and easy meal that will fit into just about any meal plan or diet. Serve the chicken with hot cooked rice, quinoa, baked or mashed potatoes, or noodles. Or, if you are following a keto or low carb diet, serve the chicken with cauliflower rice or mashed cauliflower. Add a side salad or green vegetable for a satisfying everyday meal. Brussels sprouts, green beans, and English peas are excellent options. The recipe is easily scaled up for a larger family or dinner party. Position the oven rack about 5 to 6 inches below the broiler element and then preheat the broiler. Line a baking pan or broiler pan with foil and place a rack in the pan. Oil the rack. Pat the chicken breasts with paper towels to dry. Put a chicken breast between two sheets of plastic wrap and gently pound with a meat mallet or another type of heavy object (e.g., a rolling pin, can of vegetables, a heavy skillet or saucepan, etc.) to thin to an even thickness. Repeat with the remaining chicken breasts. Alternatively, if the chicken breasts are large, slice each one horizontally to make 2 cutlets. Arrange the chicken breasts on the oiled broiler rack. Rub the chicken with olive oil and sprinkle lightly with salt and pepper. In a saucepan, combine the remaining ingredients; place the pan over medium heat and bring to a boil. Reduce the heat to low and simmer for about 30 seconds. Taste and add salt and pepper, as needed. Set aside. Broil the chicken for about 12 to 15 minutes, turning halfway through the cooking time. Drizzle each chicken breast with about 1 teaspoon of the lemon butter mixture about 1 minute before it's finished. Serve the chicken breasts with the remaining lemon butter sauce and sprinkle with the green onion tops and chopped parsley, if using. Depending on the size and thickness of the chicken breasts, cooking times can vary. To ensure the chicken isn't undercooked or overcooked, check it with an Instant-read thermometer inserted into the center of the thickest pieces. The minimum safe temperature—according to the USDA—for chicken is 165 F (75 C). Gently pound the chicken breasts to avoid tearing the meat. If you don't have plastic wrap, use a food storage bag. Place a chicken breast in the bag and pound it gently. A serving portion of chicken is about 4 ounces, so plan on about 5 to 6 ounces of chicken breast for each adult. Add tangy flavor to the sauce mixture with a tablespoon or two of drained chopped capers. Add herbal notes to the sauce with 1 to 2 teaspoons of fresh chopped thyme leaves or basil.